Today, I decided it was time to make some banana nut muffins. I had a bunch of bananas that were insanely ripe (plus it makes my tummy hurt to throw food away) and some muffin tins lying around. I always have almond flour in the fridge. 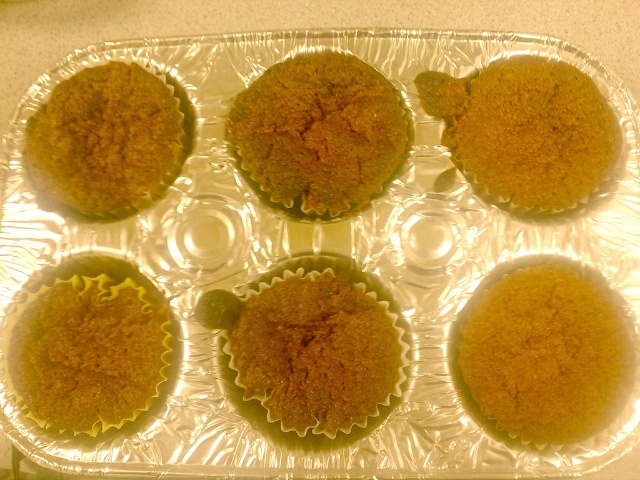 I found a recipe for banana bread and tweaked it to come up with some super delicious muffins. 3. Add the olive oil, vanilla, and mashed bananas to the bowl. Mix well. 4. In a smaller bowl, mix the dry ingredients. 5. Add the dry ingredients to the wet ingredients and mix well. 10. Cook for approximately 30 min. I just check to make sure the tops are nice and golden brown. The toothpick test works wonders, too!